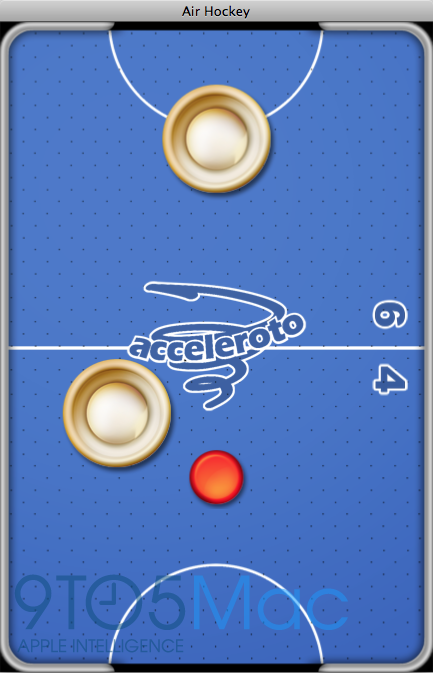 Acceleroto, the folks behind the popular Air Hockey app for iOS, have created a Mac App Store version and it will be available at launch. 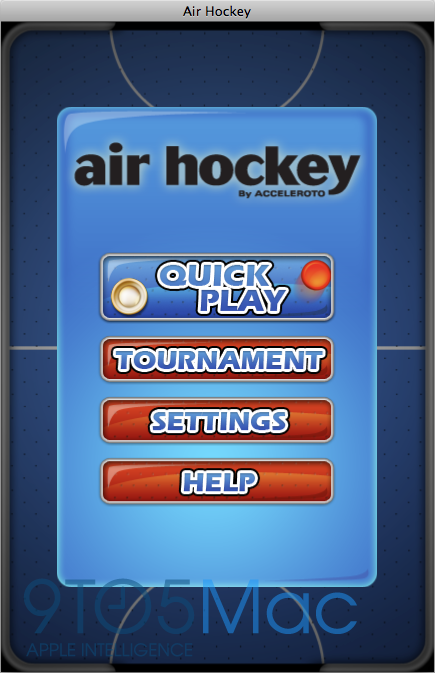 Air Hockey on the Mac is nearly identical to the iOS version and works very well. 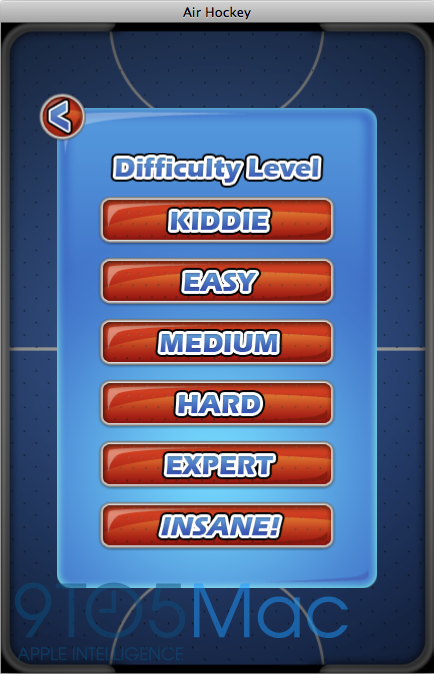 The graphics and animations are super-smooth and everything just flows. The game and its contents load very fast, both on an iMac and a MacBook Air, and the user interface is just fantastic. The game opens up in a single window and does not have a full screen option at this time ( Full screen option is in the works, waiting for support from Cocos2d). Check out our exclusive, thorough preview video above and some screenshots after the break.